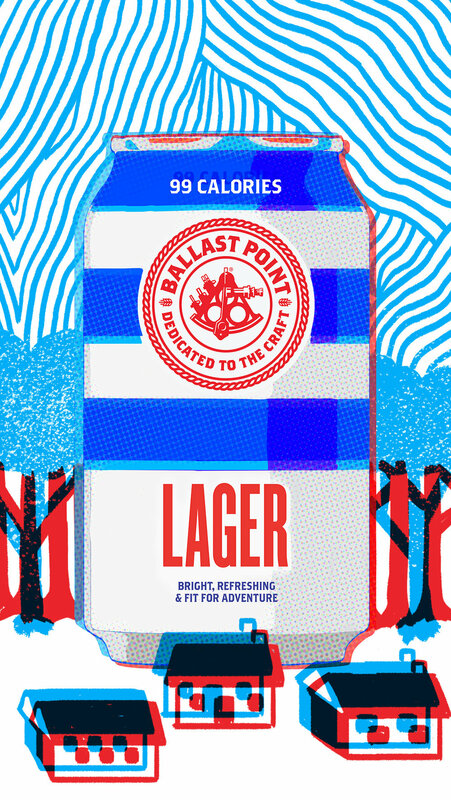 Ballast Point, one of craft beer’s most storied breweries, has created the first ever 99-calorie craft lager – something every beer lover can get excited about. I was more than happy to partner with them and The Community agency to help introduce it to the world. A easy to drink beer to celebrate good times and blue skies with great pals. We created an animated spot, digital posters, and Instagram stickers, all designed to highlight the can and its 99 calories, and establish it as a recognizable symbol for beer drinkers and art lovers everywhere.